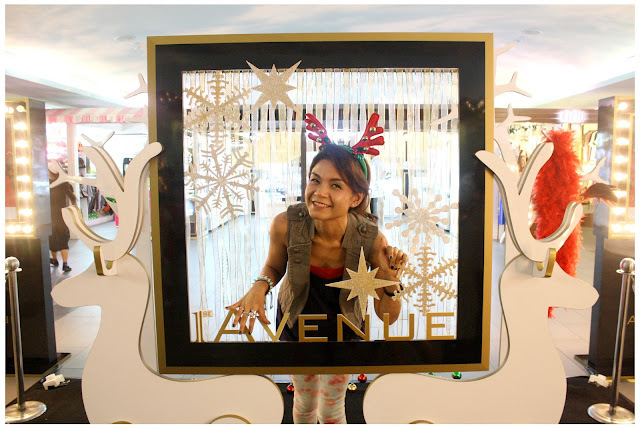 Berjaya Times Square, one of the most visited shopping within Bukit Bintang area. 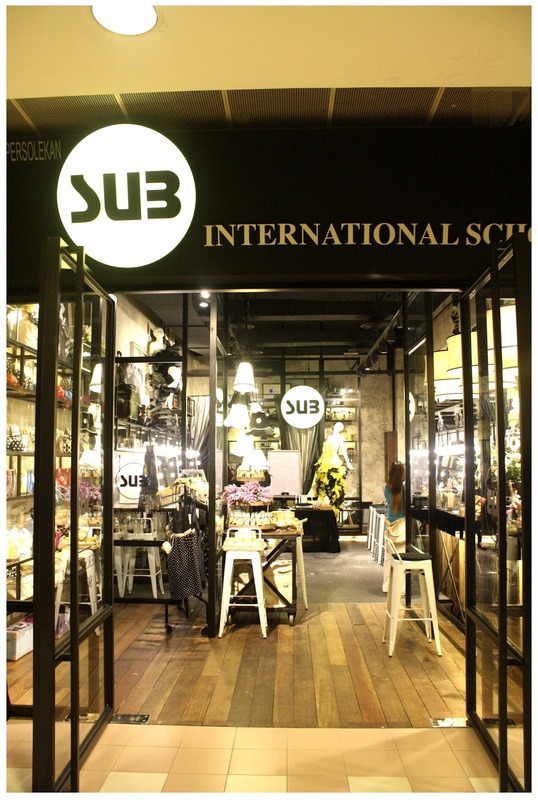 I love to shop there as they have almost everything under one roof. A lot of shops with fixed price items such as RM25 or RM35, to me the place sounds like a haven for mix and match fashionistas who loves to dig deep into the place and search for hidden gem in a super affordable price! This year, Berjaya Times Square 1st Avenue's Beauty Zone decided to join in the Christmas celebration with all the shoppers with a lot of fun activities, gift redemptions and so. 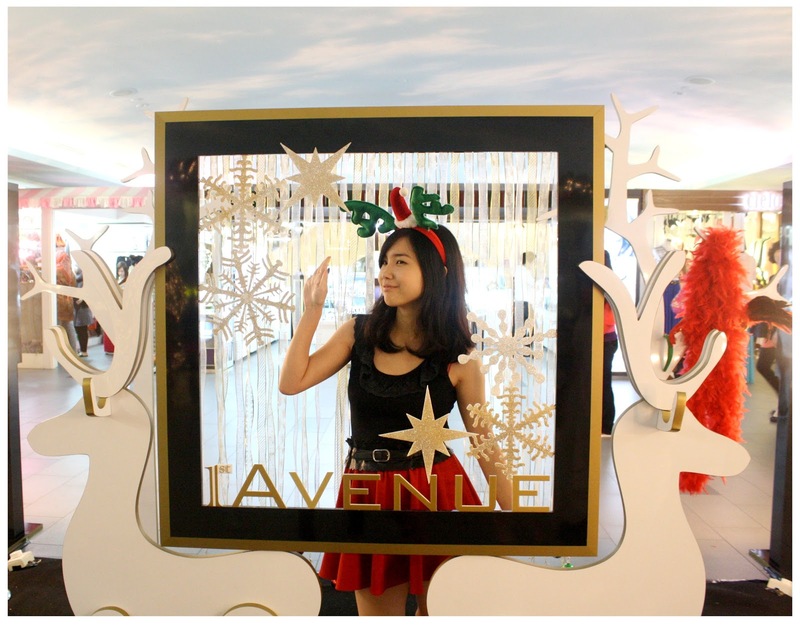 Being the first to witness what Berjaya Times Square's Beauty Zone have to give for their shoppers this festive season makes me feel so happy! The Christmas feelings are already here!!! 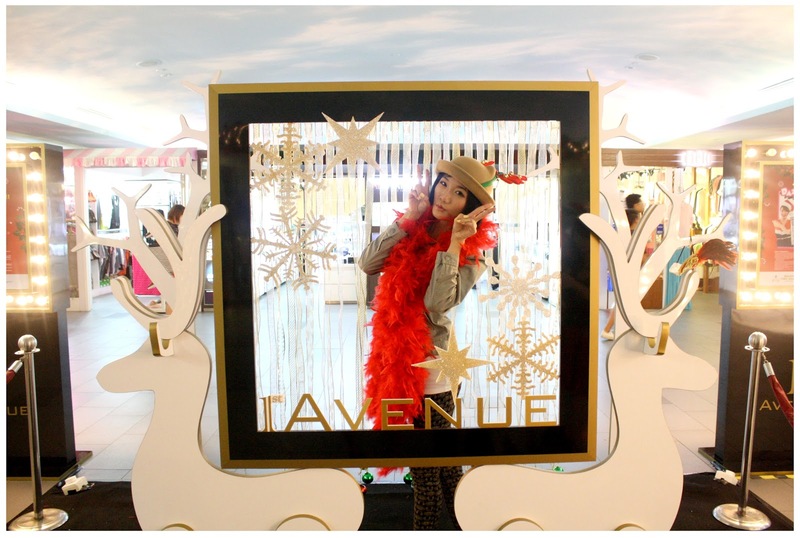 The media launch of The Season To Dazzle campaign was held at SUB International School at Level 8. Little did I know, it was such a beautiful place I fell in love with the decorations and the feelings of the place immediately after I saw it! The place has the mixture of nature and urban feel. Like what everyone said: Very New York feel! 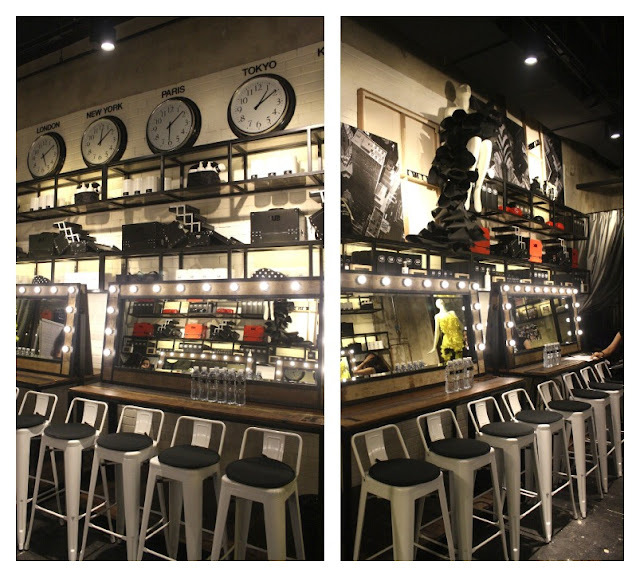 Mirrors with light bulbs and wooden tables, with some fashionable and vintage stuff as decorations, beautiful! 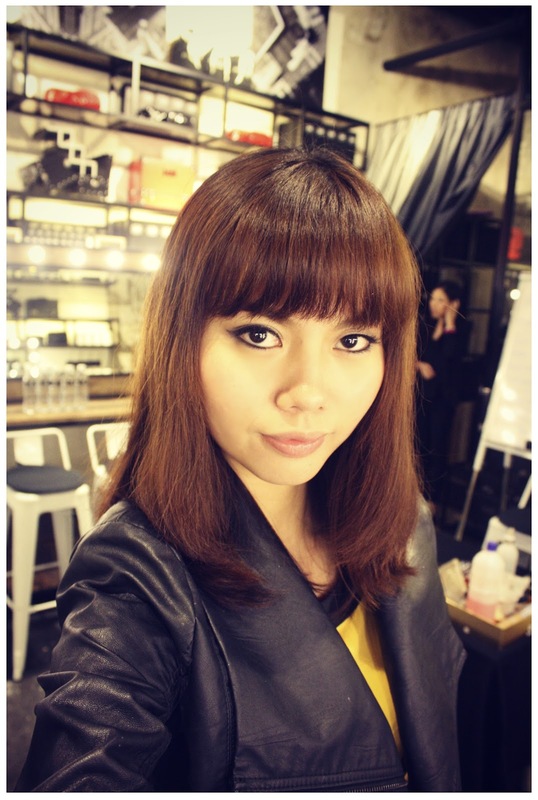 Coincidentally wore yellow and black dress to the launch, like the colour of SUB. 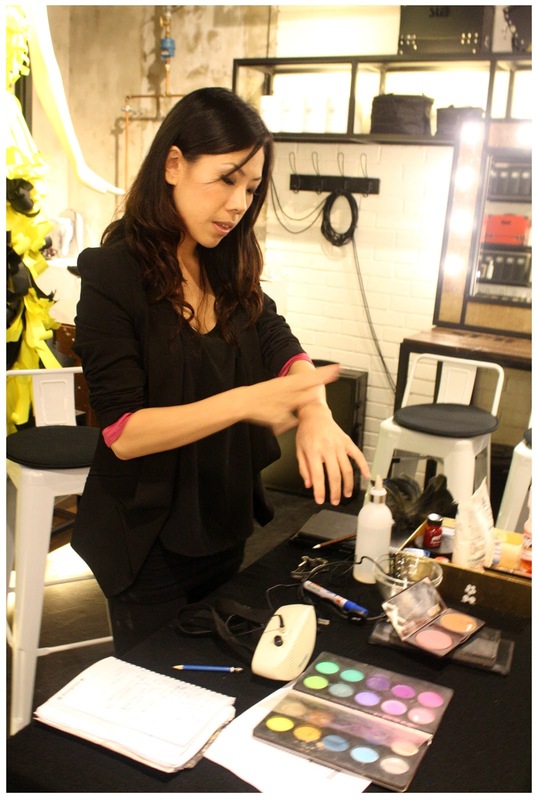 Instead of seeing normal make-up demonstrations, we were welcomed by Miyuki Ng, who is the Principal of SUB Academy and her introduction fo special effect make-up! Now, that's something I never saw done in front of me before, time to change the happy Christmasy feels to horribly gory bloody mood, Nightmare before Christmas eh? lol. Just combinations of few colours can create bruises on your body, cool! Choc + Purple + Black + Red = Serious bruises like you fell down under strong forces/super accidentally. 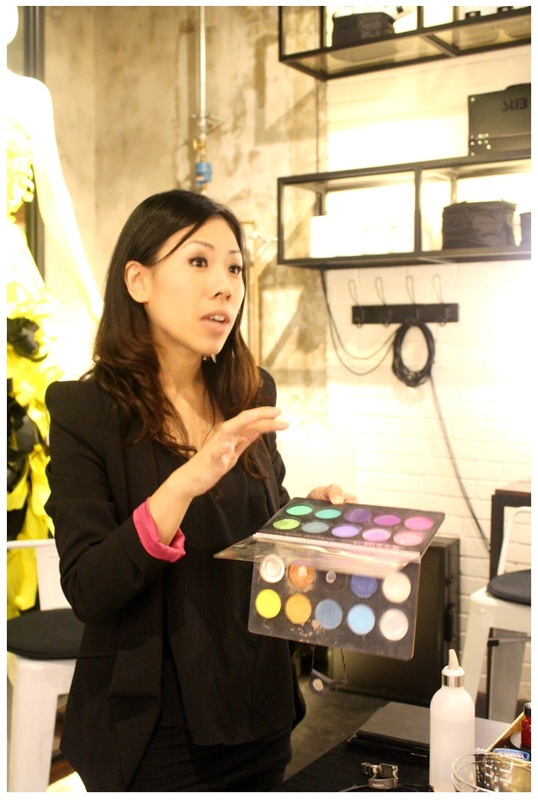 Just blend the colours of the eyeshadows at the place you want your 'bruises' to be and voila! Remember to blend them until you see it looks natural and do not use shimmer eyeshadow, just matte colour ones, because your bruises don't sparkles, right? Tepung Ubi Kayu (Tapioca Flour) - Key ingredients in creating sticky texture of liquid that looks like blood. 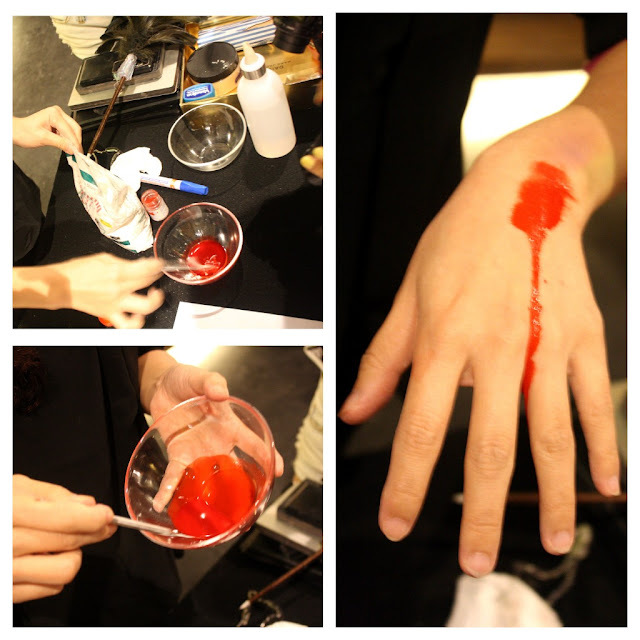 Add a lil bit of water, tapioca flour and red food dye. Mix'em well and there, the 'blood' has been created. Of course, bloody wounds come in many phases as well. As we getting more and more excited seeing all the blood effects ( I am thrilled by horror movies, I can eat casually when people are closing their eyes when watching Final Destination movies lol) the 'wounds' are going to get serious as well! 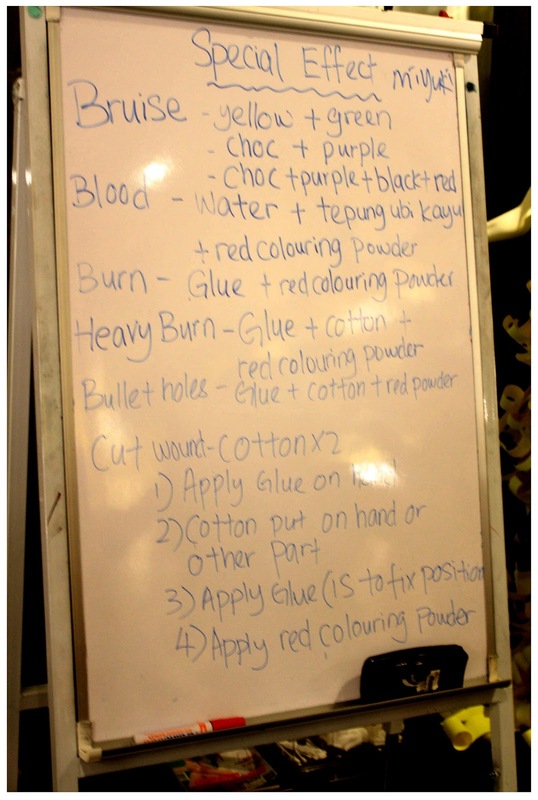 Burnt wounds, by just applying some glue on your skin and add more 'blood' mixture on it. 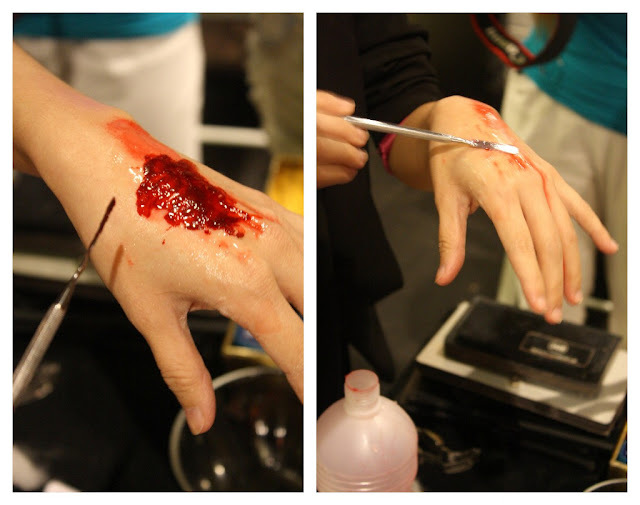 Cuts and serious injuries, add glue, cottons, 'blood' mixture and more red food dye. Gosh these wounds surely looks real to me! 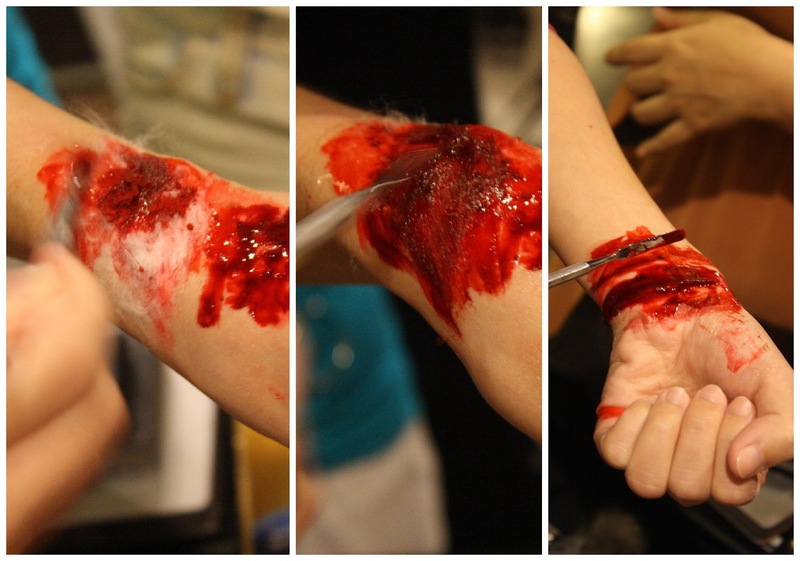 Here are some detail instructions on how to do these special effect makeup in an economic way! Thank you Miyuki for the demonstrations, now I can create these special effect makeup at home and scare my brothers hahaha. Do join SUB International School of Beauty and Make Up that offers more than 20 professional courses which are guided by qualified tutors such as Miyuki and her team who train students according to international standards and current trends in the beauty industry. With such beautiful learning environment and equipped with latest technology, skills and materials, SUB International School is the place you want to gain your knowledge of beauty and make-up from. After some horror movie like wounds, is time to treat our soul a cuppa from Starbucks to calm down our nerves and mingling around. This is the first time I had Starbucks Christmas blend - Toffee Nut Latte and I kinda like it! Especially the sprinkles~ Wish the barista would've put more sprinkles for me. With the girls, eat, drink and talk is what we do best. 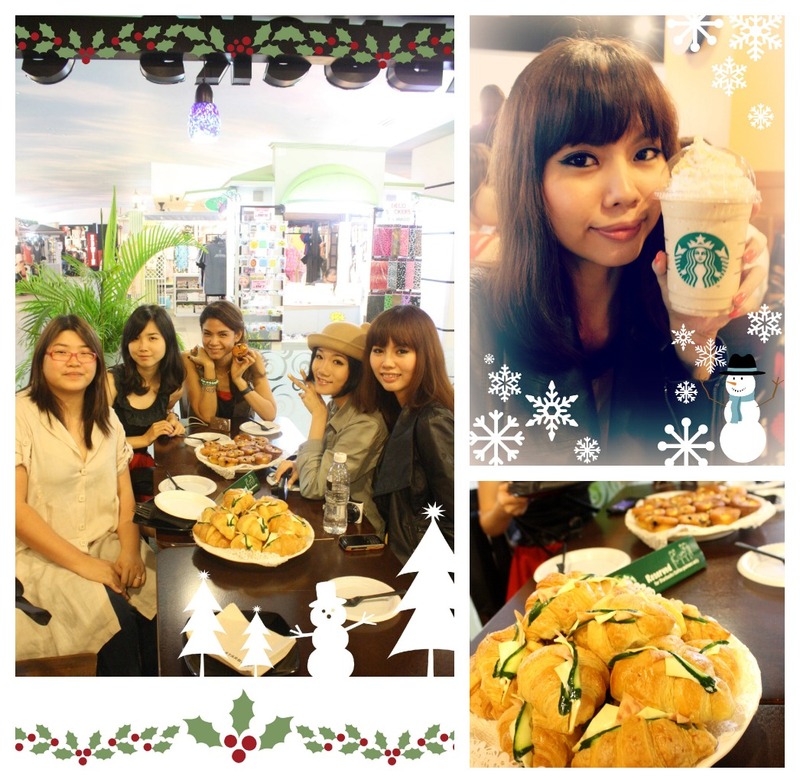 It is such a chillax session with the girls in Starbucks where the aroma of coffee that lingers in the air soothe our senses. Talked a lot with the girls and they're busy camwhoring with Lisa's bear hat! It is such a cute hat I can't resist but ask her to help me get one. lol. Ate so many sandwiches and a croissant that afternoon I felt guilty, but oh well, it's Christmas period, a good cup of coffee and pastries are what makes our souls happy, let's just postpone all the diet plans to January of next year k? Haha. 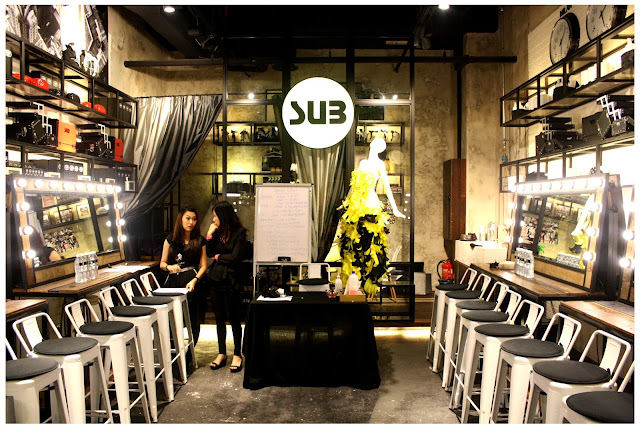 When shoppers purchased RM100 and above at SUB International School, they're entitled for a free makeover by SUB's make-up artists! (Limited redemptions and on a first come first serve basis. 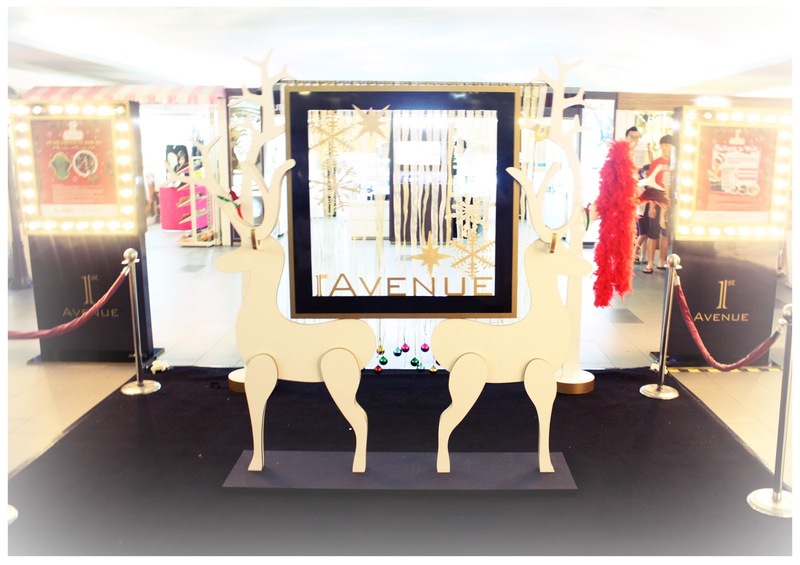 More info please refer to the Information Counter in 1st Avenue) Don't waste your beautiful looks as you can head over to the entrance of 1st Avenue where you'll see the photo booth area (like the photo above), just snap a photo of you with the decorations and upload them to Berjaya Times Square's Facebook Page or Berjaya Times Square website to participate in the Dazzle and Win contest! After some caffeine and sweet drinks, we girls got a bit hyper and was having fun posing with the props at 1st Avenue Christmas decoration photo booth. 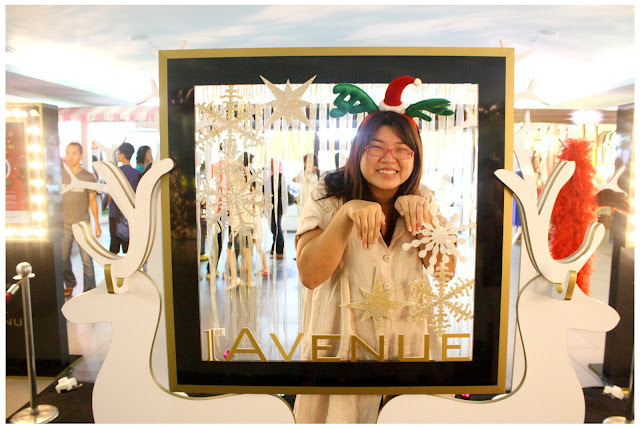 Last but not least, me who looked like celebrating Christmas via Venice-Carnival-style. lol. Bring your girlfriend, boyfriend, friends, family members to Berjaya Times Square this festive season and be mesmerized with the beautiful, fairy-tale like Christmas decorations. 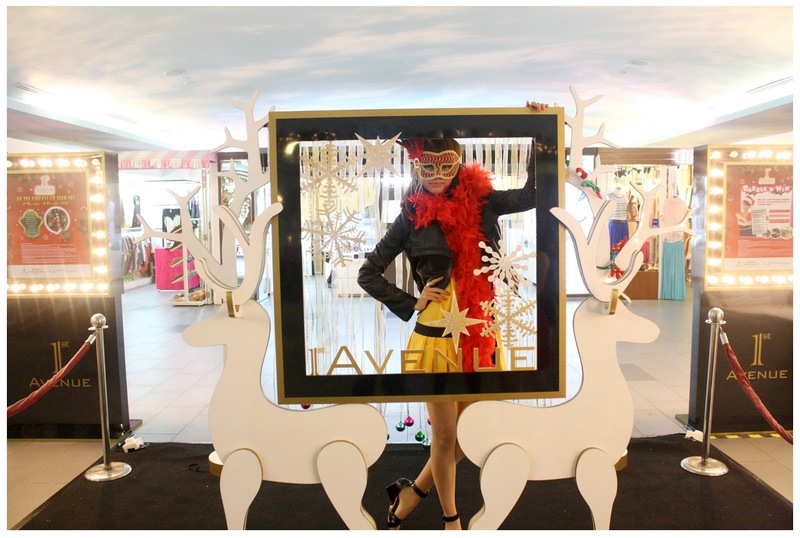 Christmas shopping has never been this easy where Berjaya Times Square have everything under one roof. Gift redemptions when you spent up to a certain amount and Dazzle and Win contest is a bonus for you to have your shopping done here! 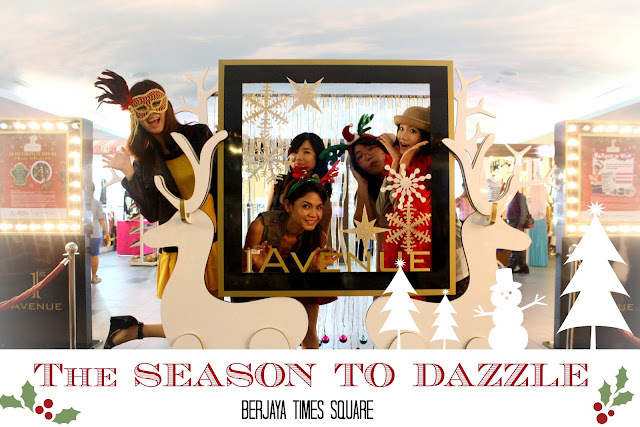 Bedazzled with what Berjaya Times Square has prepared for you this Christmas season! Be sure to upload your photos on their Facebook or Website ya~!